FlexiDraft™ STAR is an integrated solution that combines all the benefits of the FlexiDraft™ CORE fonts with flexible cooling options in different sizes, allowing up to four taps on each unit. FlexiDraft™ STAR comes with professional, durable fridges for more accurate and energy efficient cooling and the sleek and modern design is made from cleaning-friendly materials. All FlexiDraft™ STAR units (except STAR 15) comes with a high quality stainless steel top plate with integrated drip tray. For easy movement FlexiDraft™ STAR is delivered with wheels with integrated brake function. 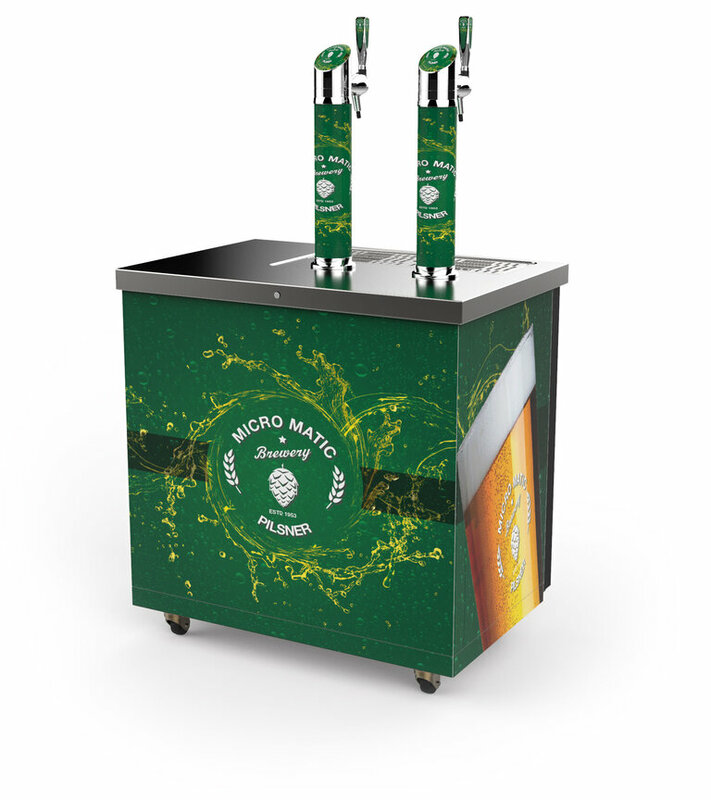 FlexiDraft™ STAR 25 comes with integrated drip tray, handlebar and keg slider system. Furthermore FlexiDraft™ STAR 25 can (optional) be delivered with a CO2 cylinder holder kit for internal storage of the CO2 cylinder. To complete your FlexiDraft™ solution we design and provide stylish counter wrapping on the three visible sides of the counter. This gives you great opportunities to create recognizable and compelling marketing messages for your product and brand.